A new public pedestrian access to Happisburgh beach could be built by Easter if plans being put in place by North Norfolk District Council are successful. The village’s lifeboat ramp – the only vehicle and pedestrian access available to the community – failed late last year after it was damaged by ongoing erosion. 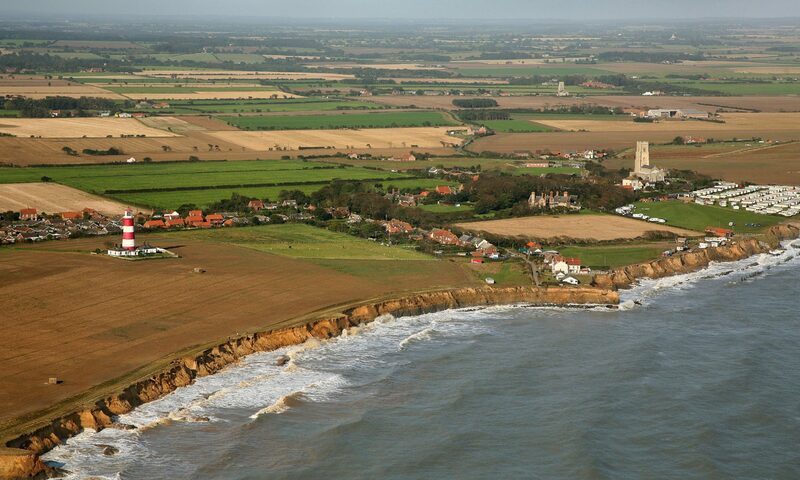 The loss has prompted fears that tourists will come in far lower numbers this year, because they are unable to get to Happisburgh’s famous sandy beach without travelling to neighbouring communities and walking some distance. The threat to the tourist market has in turn prompted concerns that some of the local businesses will lose large amounts of trade, threatening their viability. But talks between the council and the owners of the village caravan site look likely to see a new access built in the coming months. There are still a number of hoops to jump through, including planning permission and the purchase of handrails. But Brain Farrow, the coun-cil’s coastal engineer, said he was optimistic of a positive outcome. He said the owners of the caravan site had been extremely helpful during the talks. The deal is that the caravan site will supply the land and the council will provide the access. “They would like to see the access built, as would we,” said Mr Farrow. “It cannot be rushed, but the plan is being fast-tracked as much as possible. The access, which is some 70m to the west of the lifeboat station, will only be open to people and not to vehicles. Malcolm Kerby, co-ordinator of the Coastal Concern Action Group, said he welcomed the plans, especially as they were the result of co-operation between a local business and the council. Mr Kerby will host a “jargon-busting” meeting in the village on Monday. He will attempt to explain some of the complicated terminology used when discussing sea defences. The session will be held in the church rooms opposite the post office – and everyone is welcome to attend. Next PostNext Going, going, gone … but what next?